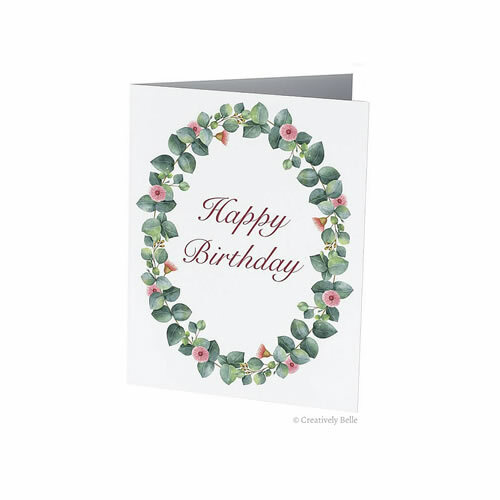 Here’s the messages, sayings and quotes for Birthday greeting cards for you to have a play with. Either use them as is or change them to suit the particular ideas you have in mind. Cake anyone? 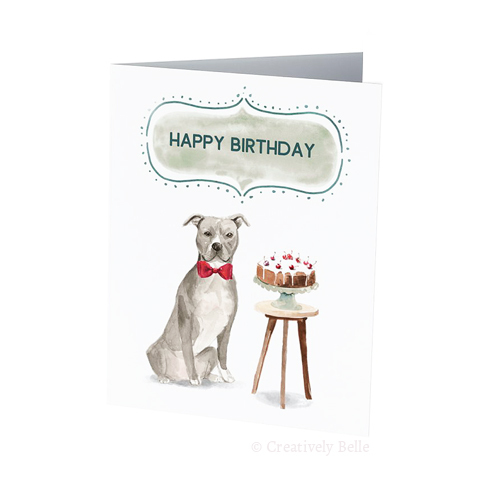 Happy Birthday card with a handsome American Staffordshire Terrier – but will you share his cake? I’ve written up a bundle of greeting card messages and sayings for you and will keep adding to them so you can find the ones that work best for you. 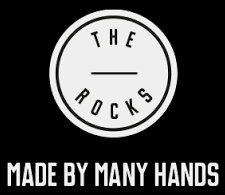 Do also send through your ideas so they can be included – the more, the merrier. 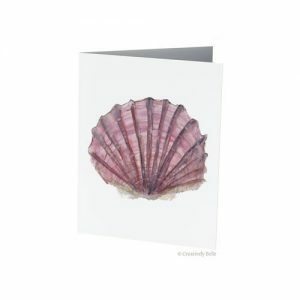 These greeting card messages are to get you going so feel free to edit, alter, or use in full how you need to. Where they are quotes from others I’ve attributed the words appropriately and hope you choose to too. Wishing you a very special birthday full of love, laughter and joy. May the year ahead be extra good. Happy birthday my treasured friend! It’s wonderful to be celebrating it with you and I hope you’re having a wonderful time. Happy Birthday! Here’s to a fabulous birthday week of celebrations and a really generous year ahead. Happy birthday special one. I’m so thankful you’re in my life. I hope you thoroughly enjoy the day and feel how deeply loved you are. Well happy birthday treasured one. Here’s to another year together filled with adventures, laughter and the odd bit of silliness. I’m so grateful you’re my friend, I hope you have a wonderful birthday and know that you’re loved and treasured. Let’s go out and have some fun together (again!). Happy Birthday! Here’s to another year together filled with all the good things in life. May we talk too much, laugh too loudly, go on adventures and discover new dreams, count stars and see wonders in the clouds together all year long. 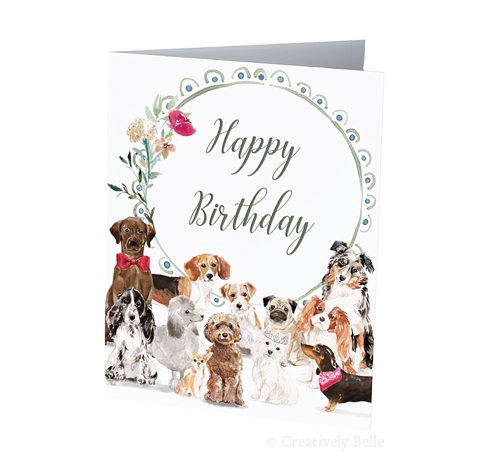 Happy Birthday card featuring an Australian Sheppard, Pug, Westie, Labrador, Poodle, Beagle, Dachshund, Chihuahua, Cocker Spaniel, Jack Russell and Labradoodle. Check out the series I’ve come up with of sayings and messages you can include in Birthday greeting card, Mother’s Day greeting cards, Father’s Day greeting cards, Christmas and Seasonal cards, sympathy and condolence cards, thinking of you notes, thank you greeting cards, be bold for change International Women’s Day greeting cards, congratulations greeting cards, Valentine’s Day greeting cards, engagement and wedding cards, baby shower and new arrivals greeting cards, get well greeting card, I’m Sorry greeting card, bon voyage greeting card, welcome home greeting card and friendship note card. 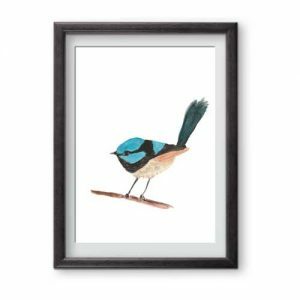 Get 10% off your first order and free shipping when you join the Creatively Belle newsletter. 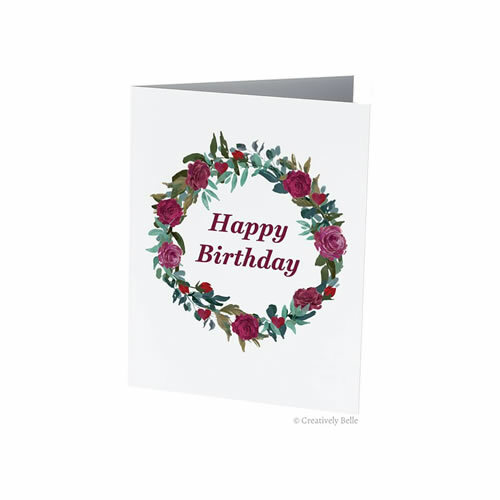 Find out about new designs and ranges, latest blog stories and where to find Creatively Belle at markets and fairs with our newsletter.